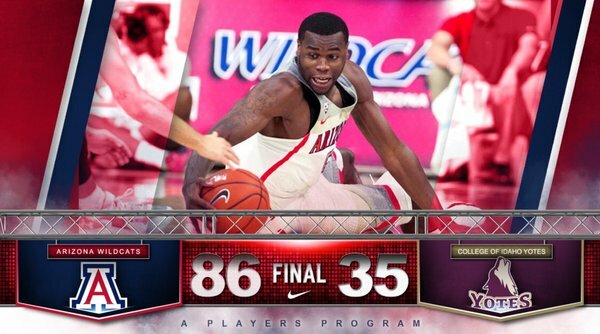 Get a recap of news from Arizona's game against College of Idaho. 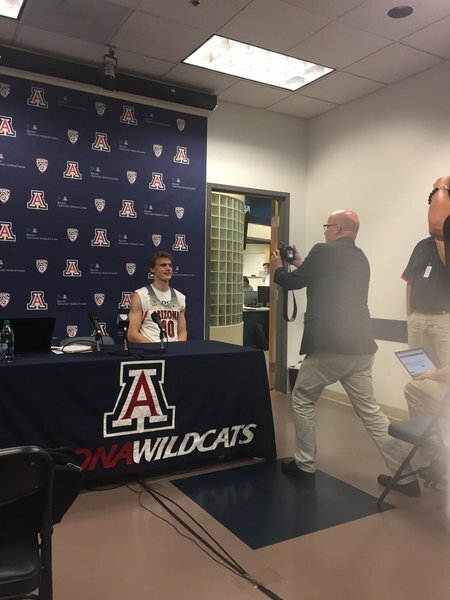 "Arizona Wildcats beat College of Idaho 86-35"
"Photos: No. 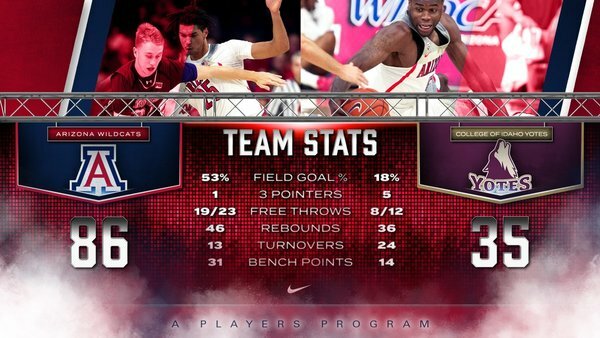 10 Arizona Wildcats 86, College of Idaho Yotes 35"
WATCH: @APlayersProgram big over Yotes in exhibition opener. 2014 went down as one of the better years in Arizona sports. 2016 will go down as one of the worst. Two years is a long time. The 2018 Final Four is in San Antonio, FYI. 2017 was cancelled. Miller presser done. To recap…no comments on Allonzo Trier or Chance Comanche, and “it doesn’t look good” for Ray Smith. Miller on Ray Smith’s injury souring the evening: "I don’t have any words to make it better than it is. It’s really awful." Miller: "The guys we have on our team, all of them have an opportunity now." Miller said about Kadeem Allen: “i’ve not seen a better defensive player than him.” Name dropped Aaron Gordon, Kyle Fogg. Miller said because of depth problems, Lauri Markkannen will have to learn how to play small forward. Miller on depth: “We don’t have any. We’re going to play our walk-ons, they have to get ready.” Will play 3 guards a lot. Miller said Smith has practiced all 22 practices and has landed and jumped without setbacks. Sean Miller: "We don’t know exactly what happened (with Ray Smith). It didn’t look good. We’ll know more in a couple days." Sean Miller: “Tough night for us watching Ray go down…we’ve been watching him fight for two years." Kobi Simmons on the missing players: “We’re all right. We’re going to stick together as a family…we’re going to be all right." Parker Jackson-Cartwright on Ray Smith going down: “It’s a scary moment. You just hope for the best." Arizona’s spokesperson said that there will be no updates about Allonzo Trier. Players first: Parker Jackson-Cartwright and Kobi Simmons. Going to be an interesting press conference coming up after #ArizonaWildcats win tonight. Miller taking a little longer than usual to get here. Should I ask about Josiah Turner? Great chat as usual, Drew. On to the next one! Interesting insights into what might be this year. I like what I see .. other than the academic issue(s), no comment player, and injuries. Thanks to everyone who joined me tonight! I had a blast and I hope you did as well. Make sure to join me Sunday for another exhibition basketball game! Have a good night and great rest of your week! Now walk-on Paulo Cruz is limping. Yikes. Things to be happy about - unselfish play, athleticism. Things to be sad about - injuries and guys out, perimeter shooting. Kobi Simmons fights through traffic to put up a layup. UA leads 83-32. And Sean Miller still coaching. He earns every penny. Wildcats in double-digit points: PJC (11), Alkins (11), Simmons (12), Allen (11), Ristic (14). At the break in the action, Arizona leads 79-30 with 4:03 left to play. Ristic leads UA in scoring with 14 points. Arizona is up by 49 points…but not sure anyone is walking out of McKale tonight thinking this was a victorious evening. His body also looks rock solid ... won't get pushed around as much as he was last year at times. Man, McKale Center clears out quick. Especially when those Wildcats have a 49-point lead. With a 74-23 lead and eight minutes left, Sean Miller puts in walk-ons Jake DesJardins and Tyler Trillo. Kadeem Allen with alley-oop to Kobi Simmons ???? I agree. Not worth ruining his health. Holding good thoughts. 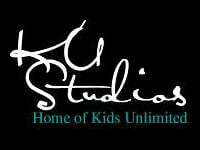 For all the team. Alvin made a good point. Do the wildcats have a good peremter shooter? At the media timeout, Arizona leads 74-23 with 7:57 left to play. Seems as though some fans are already heading for the exits. It's not about cutting him slack it's about him preserving his body so he can walk when he's older. College of Idaho is rolling now! The Yotes have 23 points!